Today, Ginny and I went to Plymouth, Indiana to photograph baby Mollie, the grandchild of a friend of Ginny’s sister Julie. Parents Amy and Chris wanted to get some shots of Mollie for Christmas. Mollie was a great baby and would have no part of sleeping for this photo shoot. We hoped to get some photos of her sleeping, but as long as company was in the house, Mollie would have no part of sleeping. Mollie gave us plenty to work with, as she’s a bright, alert baby who followed her mom and the lens. A few times, she looked so directly at the lens that I thought I was working with a model. She was amazing to capture. We enjoyed working with Amy, Chris, and baby Mollie and hope to capture the next stage of Mollie’s childhood. We know she’ll be a beautiful toddler, as she’s a sweet and pretty baby now. 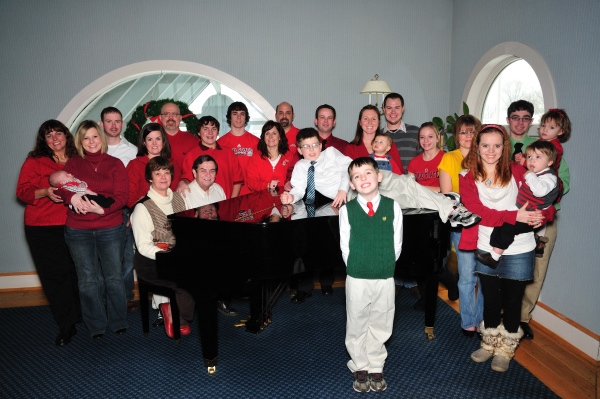 Today, Ginny and I met the Kissell family at the Culver Cover for some family photos. Herb and Dot’s kids and grandkids were a lot of fun. They all share the same great humor of Dot and Herb. We took pictures of what Ginny called each “subfamily,” and then we took group shots of the grandkids and the entire family. Ginny also took some closeups of individuals while I was doing the formal group shots. We had a great time with this family.There is a lot of laughing and joy among them. 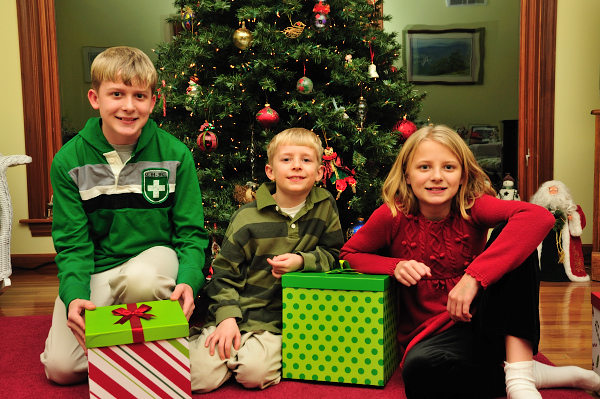 Happy Holidays to all of the Kissells. We hope to see you for a future shoot! Today, Ginny and I took some random shots of the kids. They will often pose for us, but getting all of them to look at the camera at the same time is a feat, and in this case, we had some funny hair styles going on in the photos. Still, it’s the casual, fun shots that make having a camera available worth it. What a long weekend for the CMA U16 hockey team! 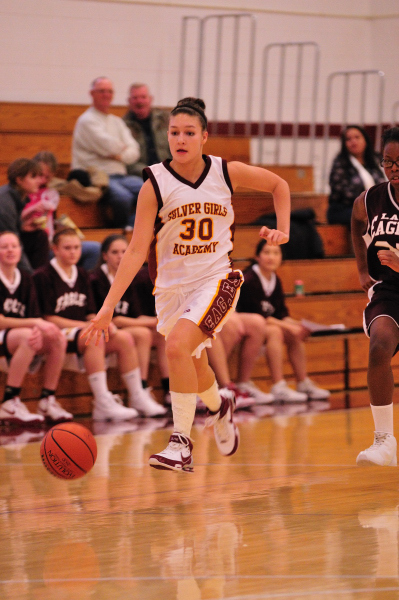 Today was the fourth and final game for Culver Academy Eagles in their Christmas break Invitational Tournament. I feel sorry for all the teams having had to play four games in a weekend, but I feel especially bad for the Culver boys because Chirstmas vacation started for their classmates four days ago. Culver Academy ended the weekend in the 3rd and 4th place brakets against the Mercer Chiefs who they played yesterday morning and lost to. Watching today’s game, I remembered how much fun these two teams were to watch against each other. Both teams played hard and showed great sportsmanship with very few fouls throughout the game. If I recall, Culver only had 2 or 3 penalities the entire game and there were times when the game would continue for 3-4 minutes without any whistle. It truly was fun to watch. 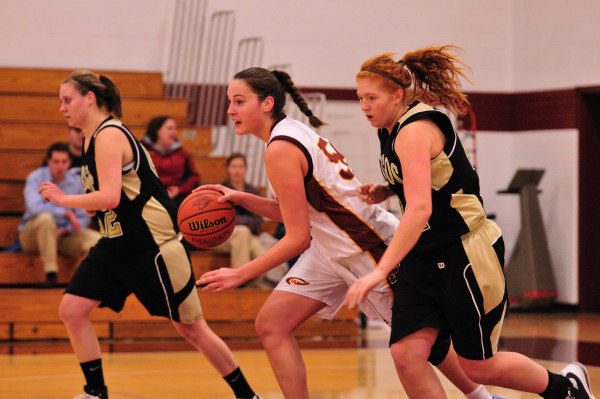 Having lost yesterday, Culver played well and dominated the entire game, bringing home a win. I’m proud of Culver, but the Chiefs still need to be recognized for their play. There are a few things about the Chiefs that I feel should be pointed out. First off, I believe that they were the smallest team to play in the tournament with only 12 kids. If you think about it, that is 216 minutes of hard, tournament play spread across 12 players. Secondly, due to concerns about the impending weather conditions, their goalie left last night or this morning and did not play in today’s game. Instead, their backup goalie played who did a great job. Don’t get me wrong, I am a Culver fan through and through. But, in today’s win, I don’t feel that it is appropriate to gloat. The Chiefs did a great job. I’ve posted my favorite photos here; there over 300 more at http://www.culverphotos.com/p912711270. 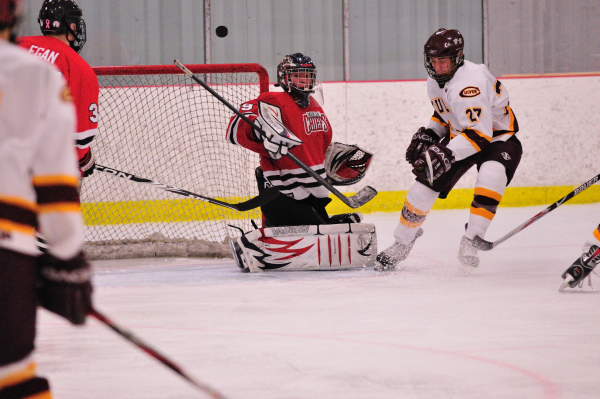 This afternoon, as part of the Culver Academy U16 Invitational Tournament, the CMA Eagles played the Chicago Huskies. For me, this game was a little different than all the other hockey games that I’ve photographed in that the game was played on the “B” rink at the Henderson Ice Rink. This was the first game that I’ve ever shot on the “B” rink and it posed some new challenges. Unlike the “A” rink, which is an NHL-sized ice rink, the “B” rink is an Olympic-sized ice rink, which means that it is a larger rink. Being larger meant that I had to get used to things as viewed through my zoom lens. I had to wait until their was action in the middle of the rink because my zoom wasn’t the best at reaching the far corners. Another difficulty that I faced was with the lighting. This rink is lit with a combination of incondescent and florescent lights, which required some tweeking of settings to get my photos to look right. The game itself was a fun, exciting game to watch with both teams playing hard. Culver easily won the game, though I don’t think the Huskies should feel bad. If I had to guess, I suspect that the Huskies are not on the ice daily like the Culver Academy teams. I’ve posted a couple of my favorite photos here; there are over 300 more at http://www.culverphotos.com/p1031465095. This afternoon, the CGA Eagles Girl’s Basketball Teams hosted Bowman Academy. The game was easily won by Culver. Following are some photos from the Varsity game. I’ve posted more photos at http://www.culverphotos.com/p719174107. 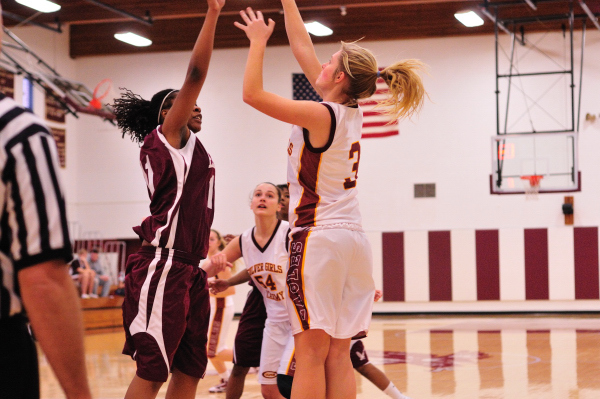 This afternoon, the CGA JV and Varsity Basketball Teams played the Lady Eagles from Bowman Academy. Unfortunately, though, the teams were not the best matchup. Culver Academy easily won both games. Following are some photos from the Junior Varsity Game. I’ve posted more at www.culverphotos.com. Today, as part of the Culver Academy Hockey Invitational Tournament, the CMA U16 Hockey Team played the Mercer Chiefs. I’m not sure if the Eagles were tired given it was an early morning game or if they started the game on a bad note, but Culver never got the upper hand. The Chiefs started by scoring in the first minute of the game. They scored their second goal during the second period. In the third period, the CMA Eagles finally got on the score board and everyone thought they might stage a comeback, but they weren’t able to pull it off. The final score was Culver 1, Chiefs 2. The game between the Chiefs and the Eagles was a lot of fun to watch. The Chiefs showed good sportsmanship, and the game had almost no penalties. Both teams showed respect for one another. If Culver had to lose, I’m glad that it was to a team that played well and with fairness. I’ve posted some photos here; there are several more located at http://www.culverphotos.com/p727833442. This weekend the CMA Eacles U16 Hockey Team is hosting a large tournament on Culver Academy’s campus with 6 teams competing from around the nation. 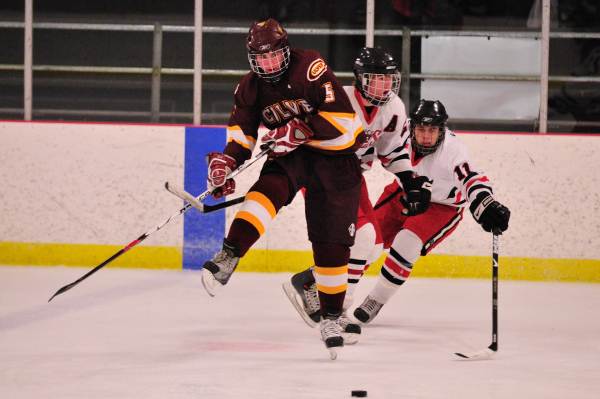 Tonight’s game was between Culver Academy and the Ice Jets. What a great game to watch! I’m not sure if the game was more exciting than others or if I was trigger happy with my camera. Either way, I shot over twice the number of photos that I normally shoot. It was difficult narrowing the number down. I ended up with over 300 photos that I felt were worthy of posting. I guess if your teams has to lose, tonight would have been the way to do it. The Ice Jets started by scoring the first goal. 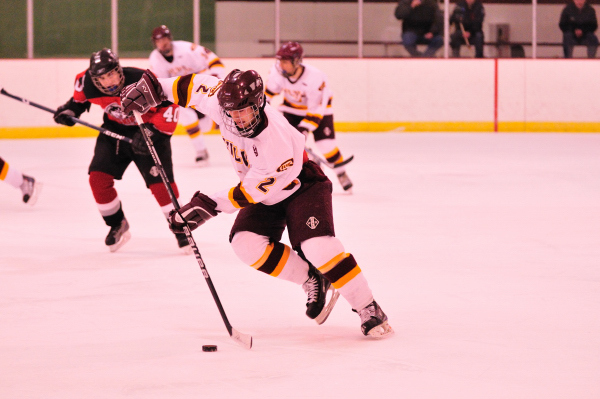 Culver scored its first goal within the first 45 seconds of the second period. Culver followed this by scoring the next goal to take over the lead. A few minutes later, the Ice Jets scored again to tie the game again. The sceond period ended with a tie. During the third period, both teams scored to end the regular game with a 3-to-3 tie. 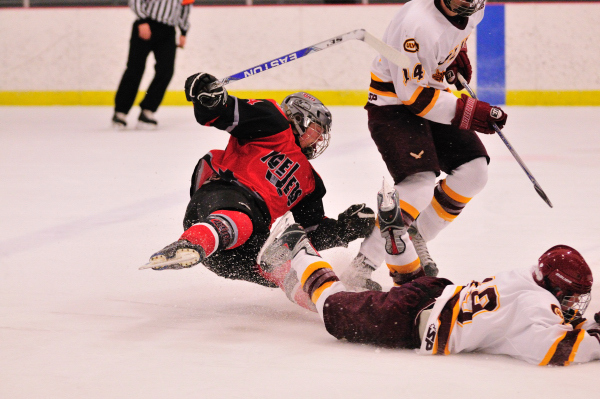 Because this was a tournament game, sudden death play continued into overtime. The Eagles held the Ice Jets off for three and half minutes, but Culver ultimately lost when the other team scored. Regardless, both teams played well. To see more photos, go to www.culverphotos.com and check out this gallery: http://www.culverphotos.com/p579556671. In the second game of the evening, the CGA Varsity Basketball Team played against the Varsity Basketball team of Argos High School. Culver dominated all of the game, though Argos made a comeback in the 2nd half. Culver won 55-to-43. I’ve posted additional photos in the Basketball Gallery at www.culverphotos.com/culveracademysports.